A tremendous amount of work went into constructing these matching stone arches. Each stone was meticulously shaped and skillfully put in place. 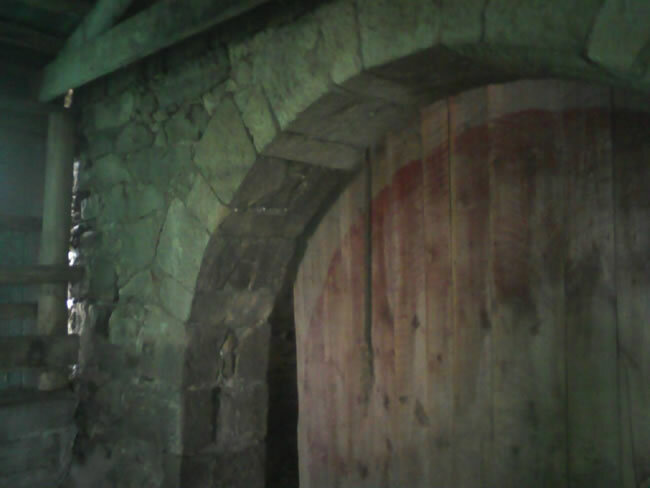 The arches are 101" wide and roughly seven feet in height, depending of where floor level is put. 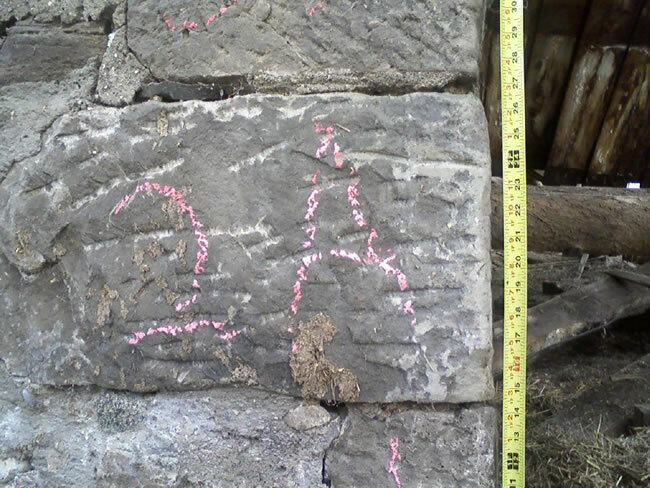 Each stone is tagged and blueprinted with exact measurements. 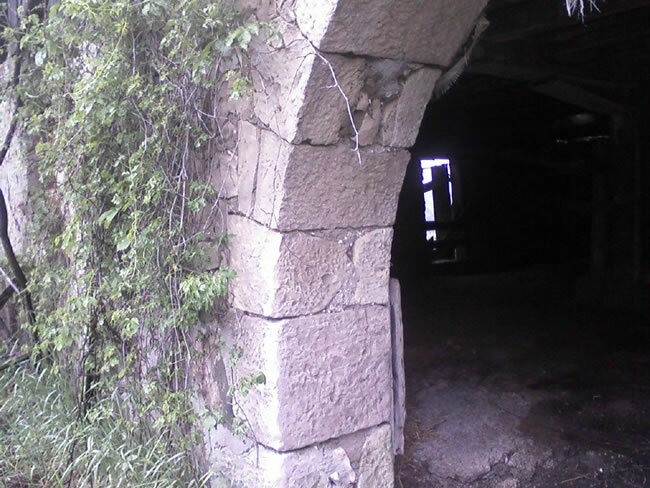 The arches can be assembled back to their original splendor by following the blueprints. 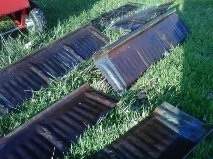 These 2 feet original rusty steel ridge caps will match the rusty steel sheets on a roof. 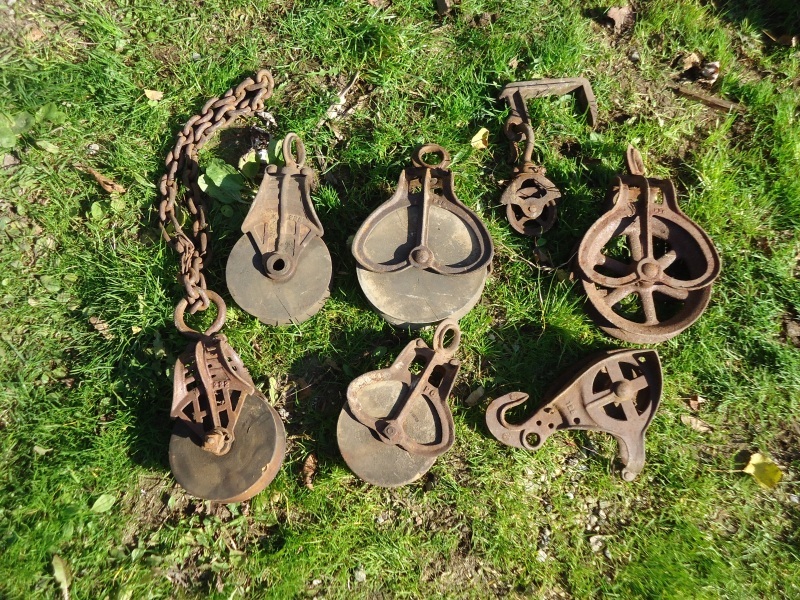 They can be reassembled to complete your project. 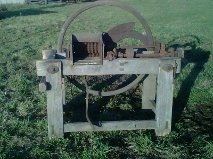 This item was used in the early 19th century to cut corn silage. The chopper was a stationary piece of machinery. The corn stalks were brought in and put through the chopper by hand. After the silage was made it was forked away into storage. 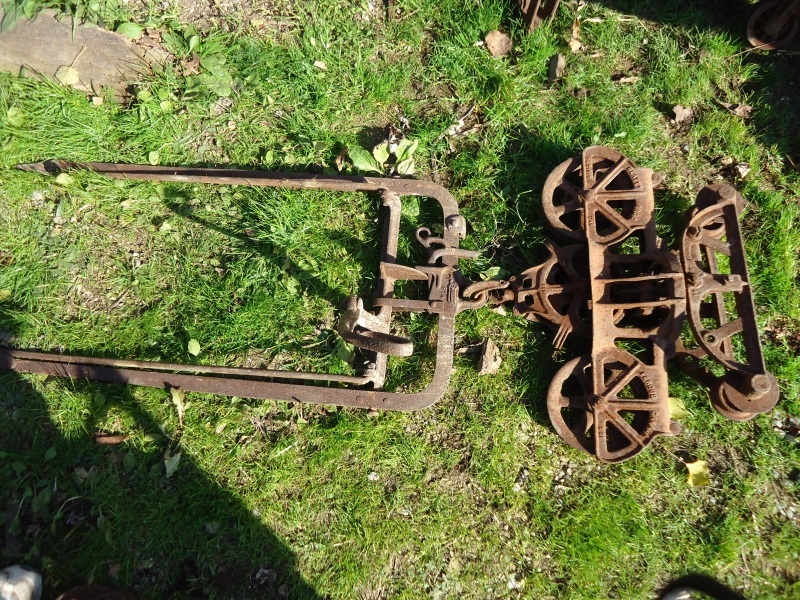 It was possibly either steam engined or belt driven machinery. 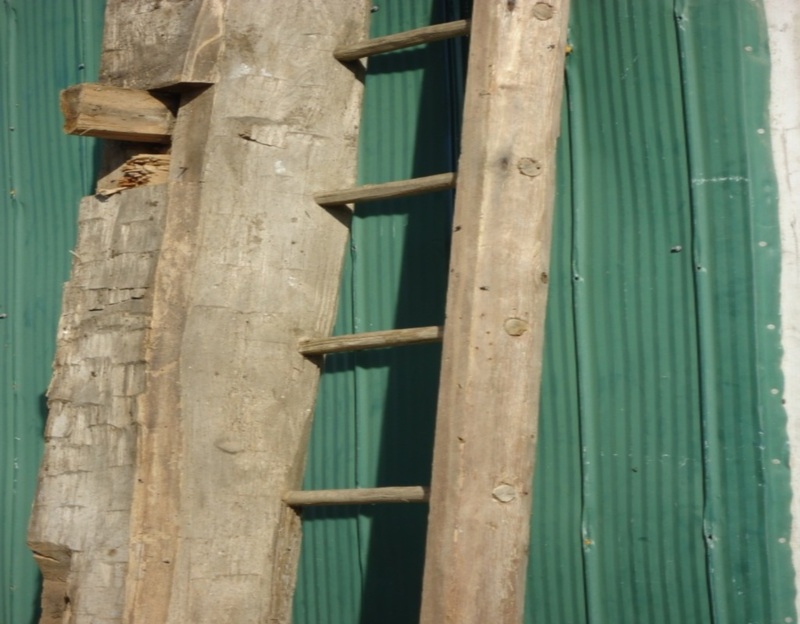 The hand hewn rungs of this ladder have no nails in it. 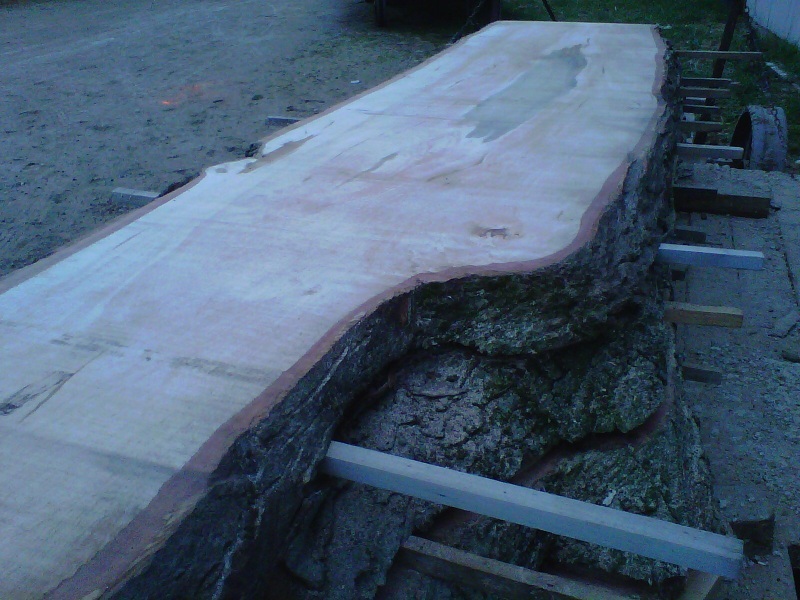 Originally it is framed into place as the barn was being raised. It was always placed close to the threshing floor. This particular ladder has a 10 x 10 post and 4 x 4 supports. 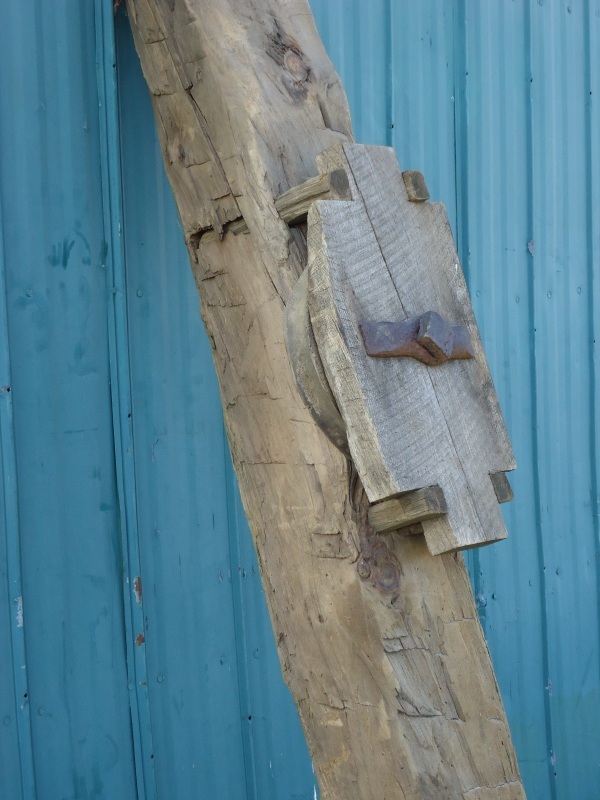 It is rare to find an eight sided hand hewn beam in early 19th century barns. They were more commonly used for front proches. 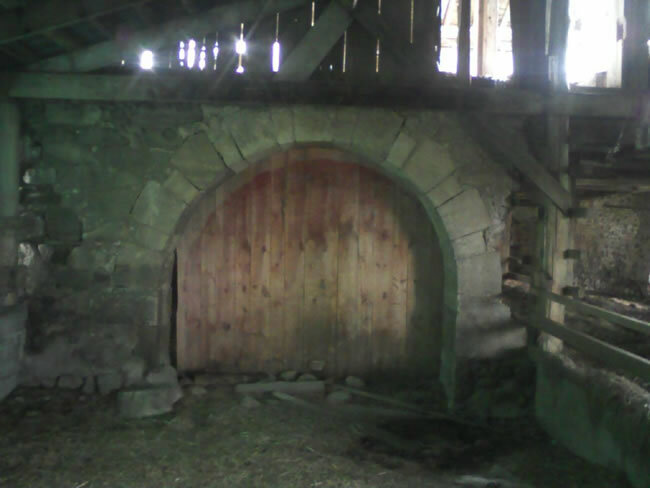 Perhaps an early craftsman with an artistic flare wanted to hone his skills and so the beams ended in the barn. 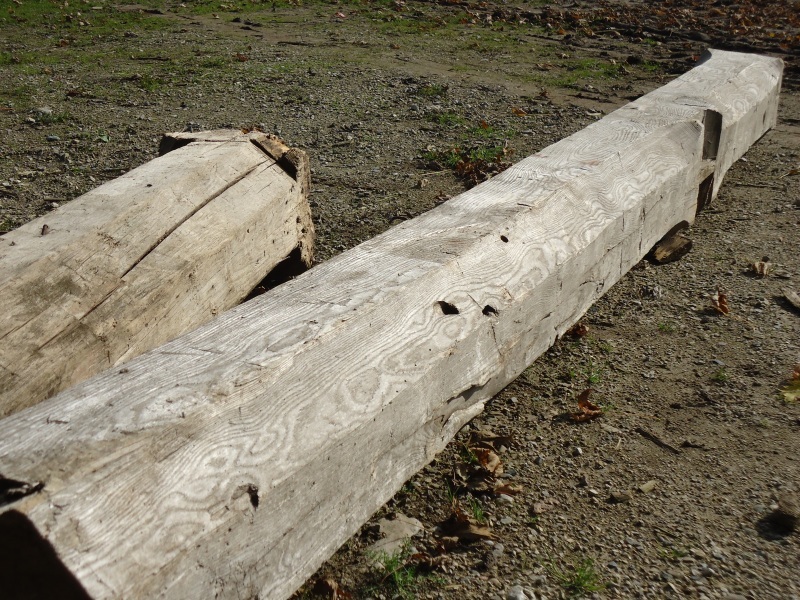 This beam was the center post along side the threshing floor. 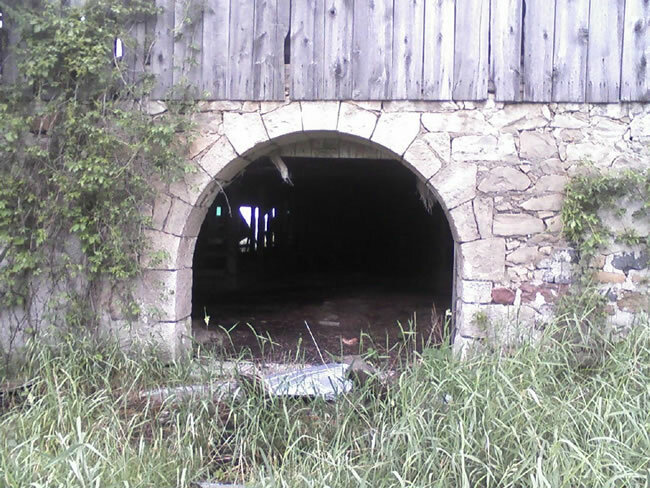 In the early 19th century barns, hay carriers had two beams to support the carrier. 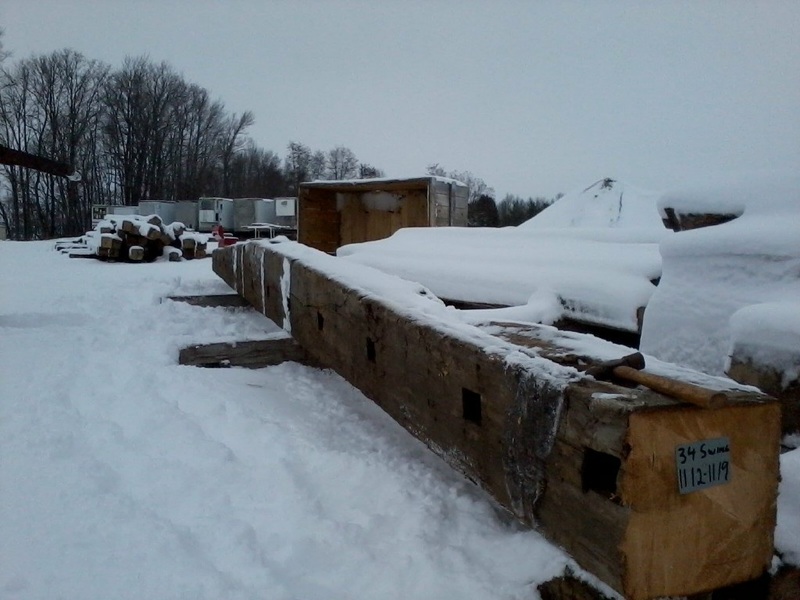 If the design of the barn did not allow for this then a pulley was crafted to allow for the carrier to operate smoothly. 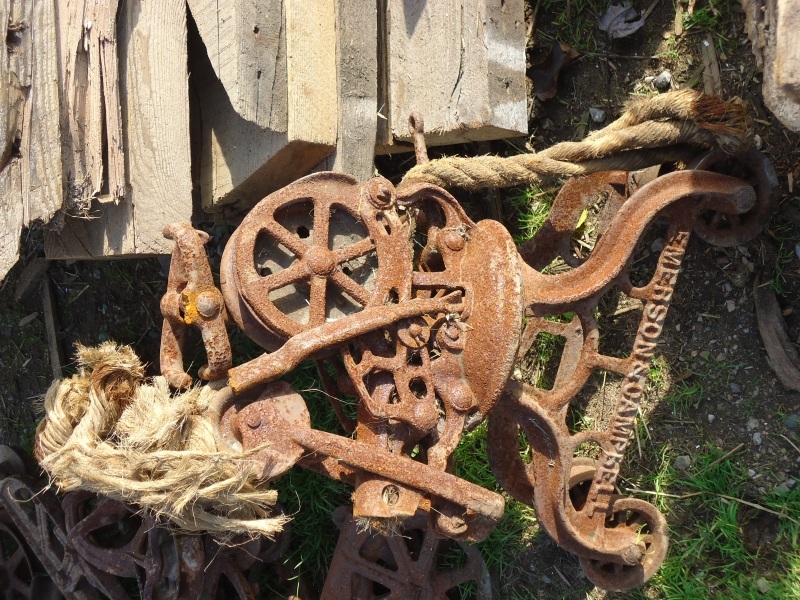 There were a few early designs of the carriers and trolleys used in early 19th century barns. 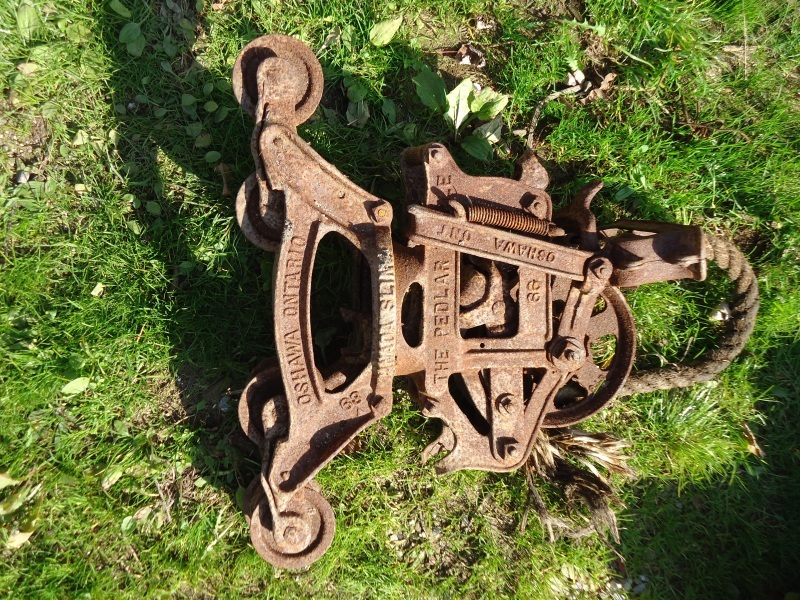 Some are still being used today in some communities. All of these designs had forks attached to lift the loose hay off the wagon and then hoist the hay into the barn for winter storage. This beam stretched from one side wall to the other side. 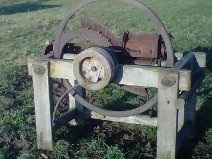 It was positioned next to the threshing floor. 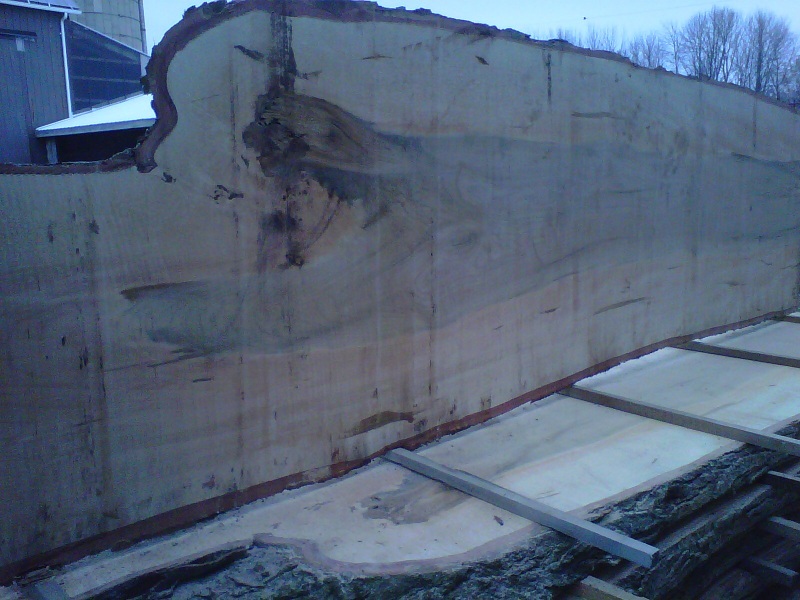 This massive timber eliminated the need for a center post creating a large clear span area. 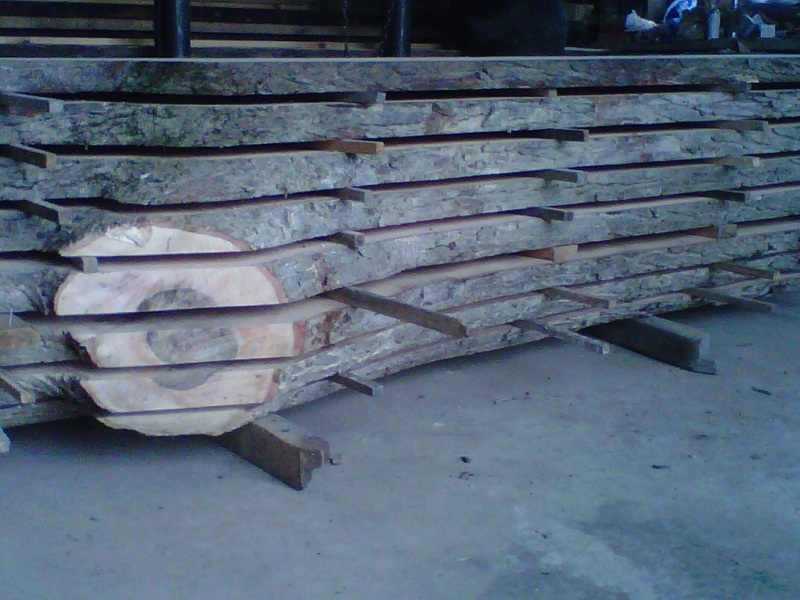 Live edge blanks are now available for your custom design. 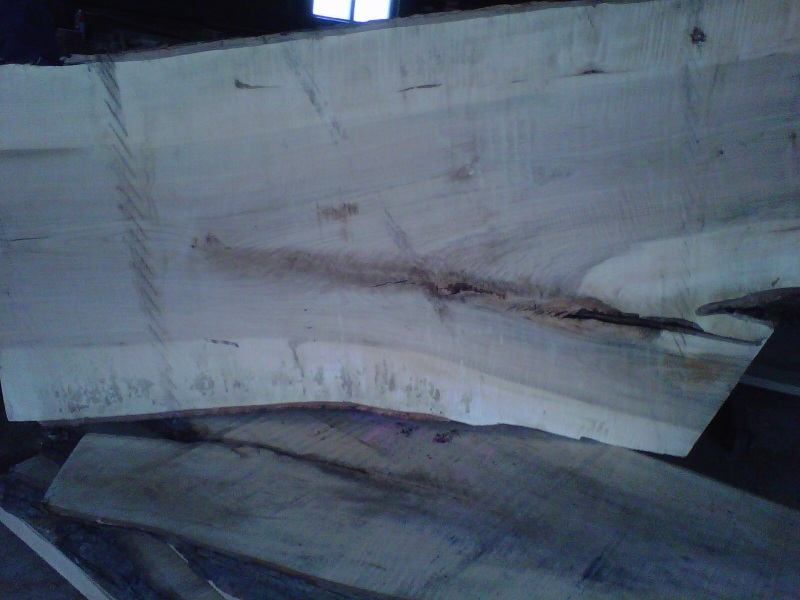 Soft maple, reclaimed antique black ash and elm are in stock. More Unique Items to come!